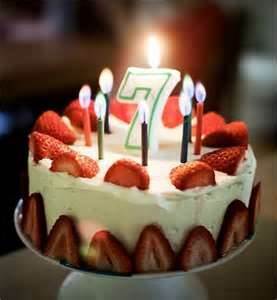 The Stylos blog turns 7 years old this month. Yes, that's right, it started in January 2006. Back then blogs were pretty cutting edge. With today's micro-blogging via Twitter, Facebook, and other forms of social media (all of which I have intentionally opted not to participate in), however, I suppose blogs like this one have a Dinosaur type feel to them. Nevertheless, this is the 1,529th Stylos blog post. There have now been c. 160,000 total page views with about 6,000-7,000 per month and over 200 per day. Stylos definitely provides a chronicle of how some of my views have developed over the past years and how some have stayed exactly the same. I recently began contemplating pulling the plug on Stylos. I was considering this for several reasons, all primarily having to do with a lack of time. With pastoring a church, being a father and husband, trying to edit the RBT, and doing various and sundry other jobs and tasks (including teaching two college courses this upcoming semester--one of which I have not taught before and for which I will be preparing new lecture material), I did not think I would have time to write anything interesting or worthy of posting (and I did not want to just fill it with links to other things, because, among other concerns, this might simply promote mindless time-wasting via web surfing). I also have wanted to focus the time that I do have for writing into some projects that I have put on the back burner for a while (e. g., I am working on another John Owen project and have been stuck at about half-way finished for the last six months). Instead of pulling the plug completely, however, I have decided to begin making limited posts for a while. DV, I am going to try posting on Tuesdays and Thursdays (with the Thursday post being my pastoral article from The Vision), with perhaps an occassional extra post thrown in from time to time.